With a market value of over 465 Million Euros in Western Europe alone, it’s safe to say that the food industry is one of the largest, most powerful industries in the world. For the average restaurant owner, this makes it extra important for you to stand out from your competitors and strengthen your connection with your customers. To kick things off, let’s start by thinking about your brand and your target audience. 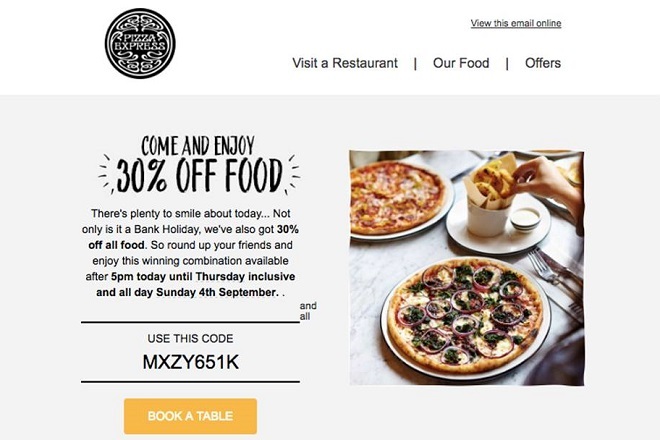 This will massively help you to determine the style of your email and create the right aesthetic to really speak to your customers. Use bright colors and bold typeface to show off your restaurant’s fun atmosphere. A down to earth, minimalist theme is a great way to emphasise the quality of your food. 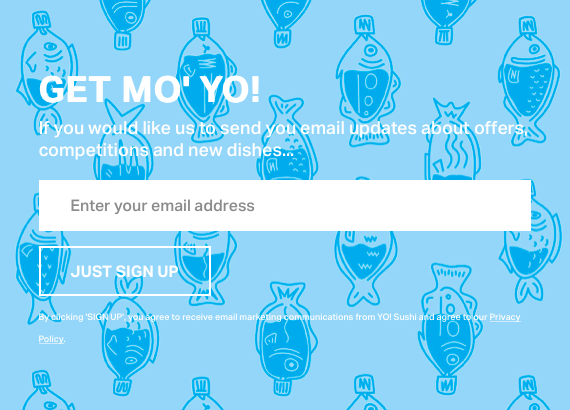 The best way of getting contacts for your email list is by recruiting customers who already know and love your restaurant and want to stay informed. These are the customers who genuinely want to read your emails and will give you positive click through results. 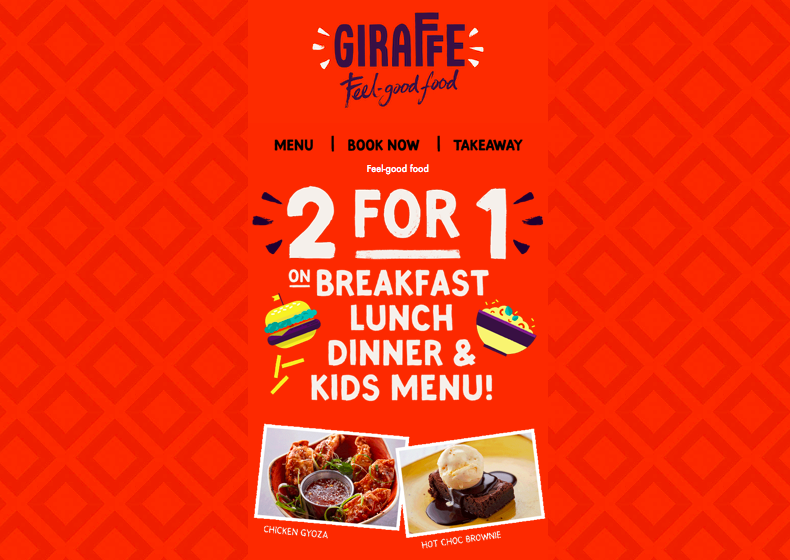 One effective way of getting customers to sign up for your newsletter is by advertising it on your website and in the restaurant itself. If you want to go the extra mile, you can even offer an incentive such as a discount code when they register. Bright and eye-catching from YoSushi. 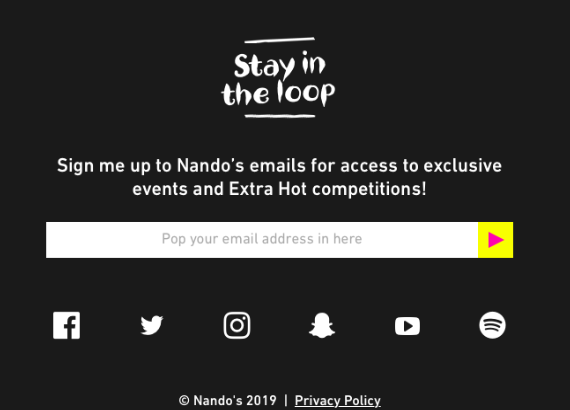 Sleek and cool by Nando’s. Warm and inviting design by Wildwood. Classic and inviting from Bill’s. One of the most effective ways to kick off your email marketing journey is by offering all your new sign-ups a discount to say thank you. 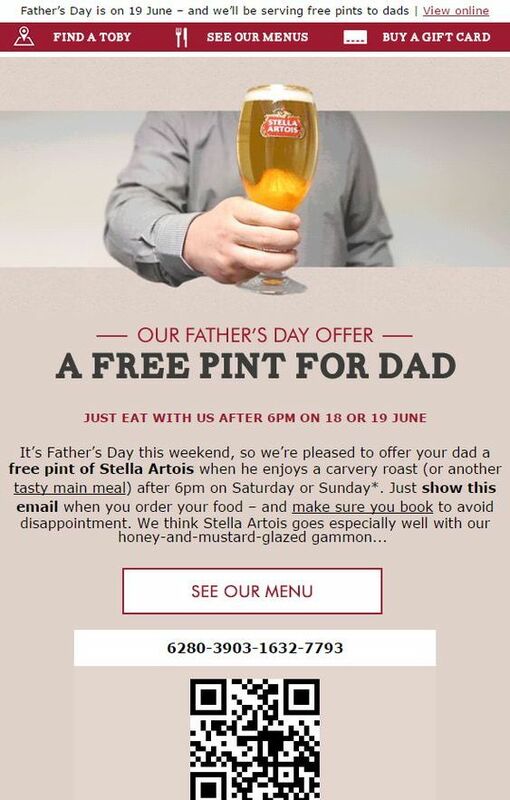 This will encourage them to come back to your restaurant and also make them feel appreciated. 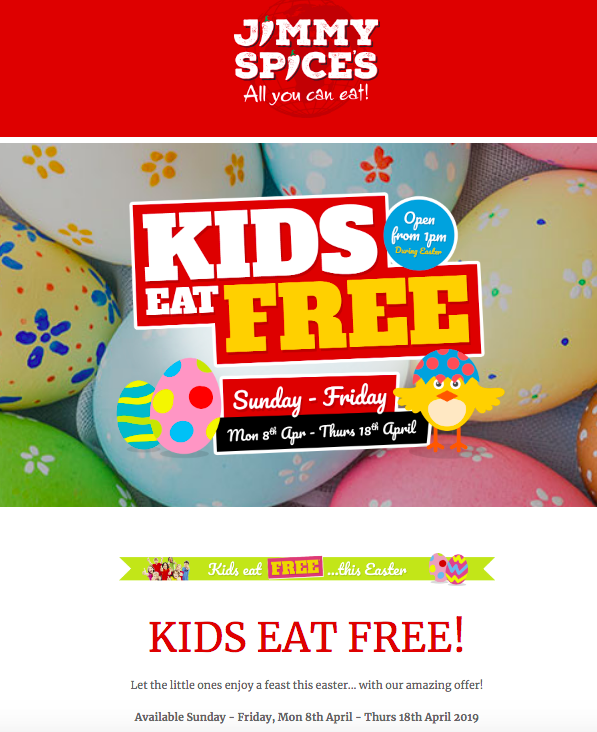 Get inspired by seasonal events to create tempting promotional offers. Show parents that they are more than welcome to bring their whole family along. 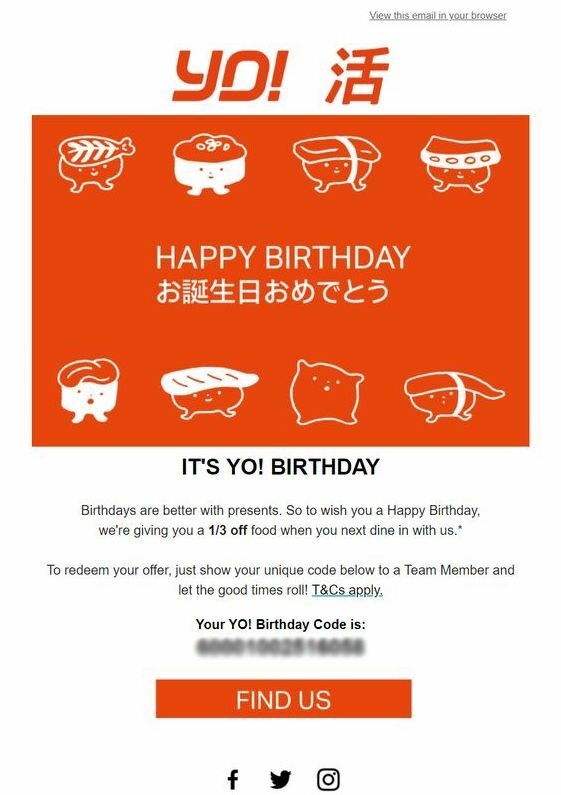 Sending out a Happy Birthday email is a great way to build on your customer relationships and make them feel valued. 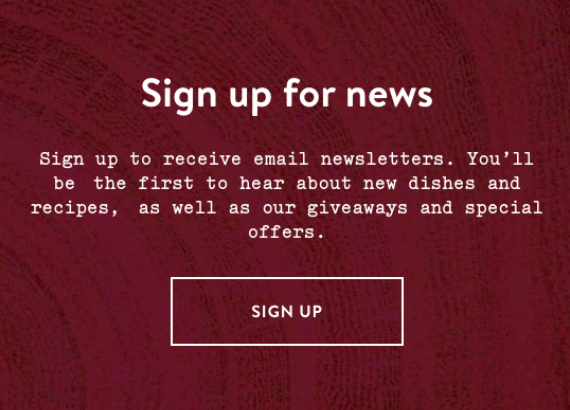 This can be easily achieved by asking customers to fill in their birthday as part of the newsletter sign up process. Wish your customers a Happy Birthday and leave them feeling appreciated. 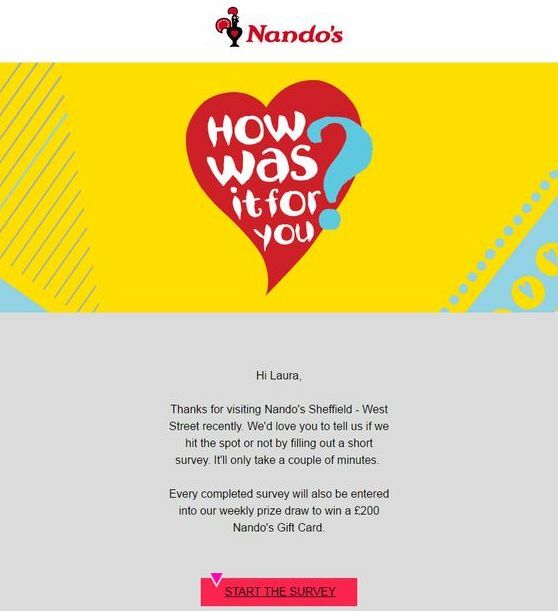 Last but not least, a follow up email can also be a super effective way of showing your customer you care about their experience in your restaurant. This is easiest to achieve with a loyalty card system in place, so you can track when customers have visited your restaurant. Alternatively, you could also provide customers with a website where they can give their feedback. Follow up with customers and use their feedback to improve your service. We hope you have found these tips and ideas useful and will consider trying them out in your restaurant. Here at Mail Designer 365, we believe email marketing really is for everyone. 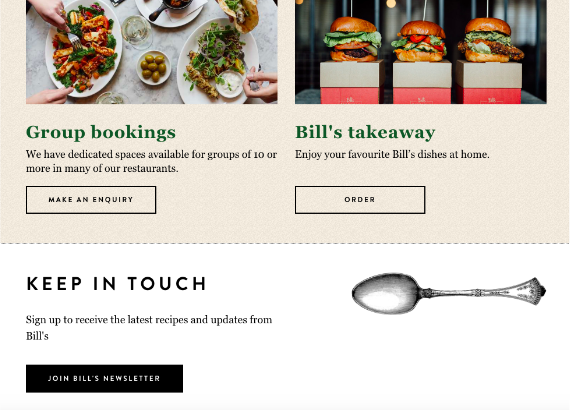 For more information on how you can use Mail Designer 365 to create email campaigns for your restaurant, head over to our dedicated restaurants page.